Aloha! It has been another busy day at work today & yet again I was wearing my uniform. Instead I have brought you another blast from the past. 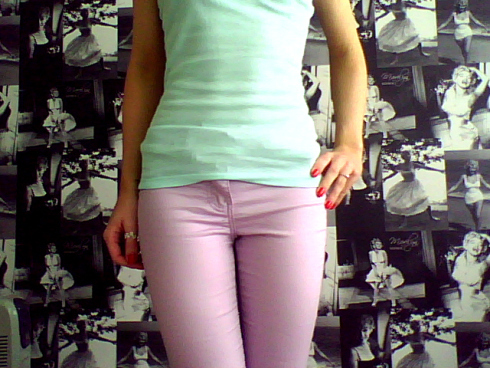 Here I am wearing pastel colours, they look good enough to eat. I love sugary pastel shades, they are the perfect colours for the winter to spring transition. 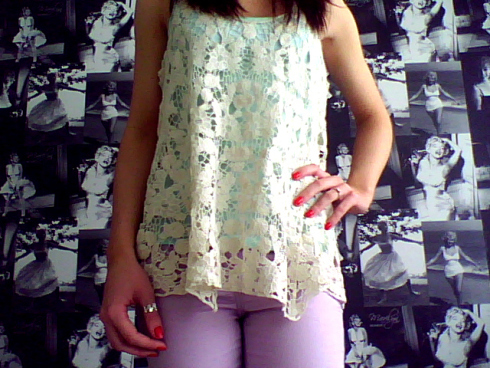 I teamed my pastel pieces with a cute lace/crochet top that I bought from New Look last year. It is a very feminine piece which I am sure I will get a lot of wear out this Summer.